My Dell battery is not among those being recalled, so it will not--as one article phrased it--erupt into flames. I'm grateful, of course, but have found other items that will, under the right conditions, put an eye out. 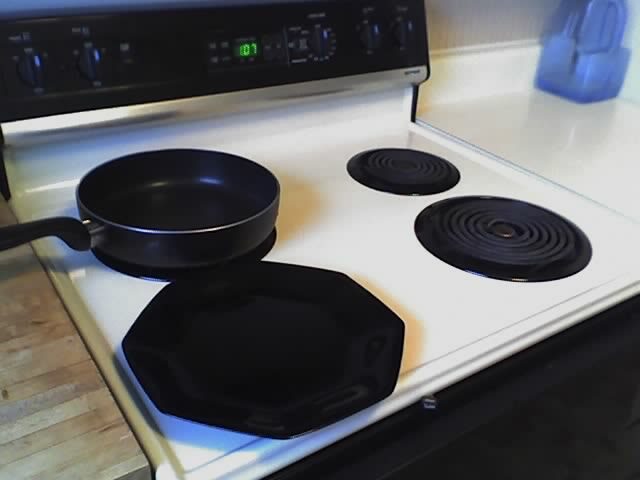 This is a picture of how my stove would have looked before the incident. What's important is that I turned on the wrong burner. The plate is heating up instead of the pan. 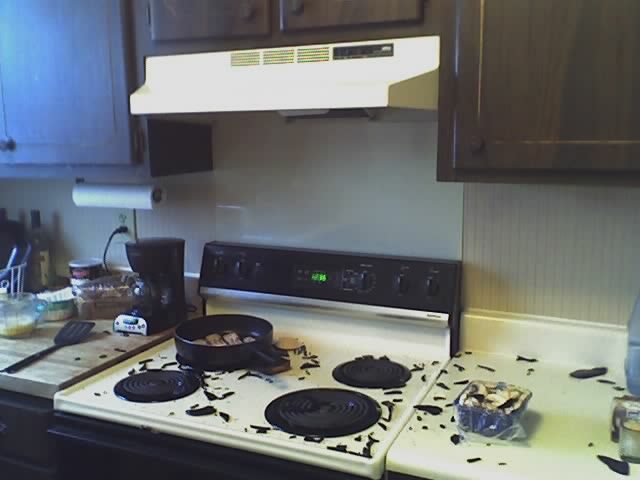 Once I realized my mistake, I turned off the burner and touched the plate. It was only warm, not hot. I picked it up and then--and I want to emphasize this--I placed it on the burner to the right. Not dropped. Not smacked. 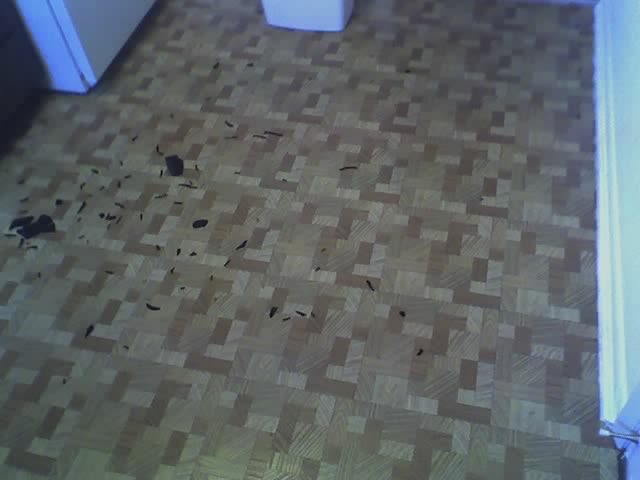 As soon as the plate touched the stove, it exploded. Let me emphasize that, too. Not shattered. Not broke. Erupted. 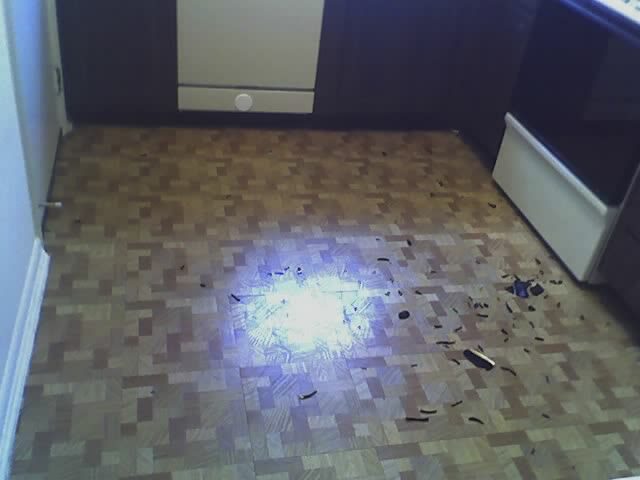 The following pictures show the shards that landed seven feet away. Moral of this story? Always eat out.